Deploying VoIP services within a franchise environment can deliver a host of benefits. To the franchisor, this provides an opportunity to deliver value to the franchises in the form of a group purchase and some communication enhancements. Of course, the franchise owners benefit from pricing levels they wouldn’t see as an individual purchaser of the service. sipVine, a national provider of hosted VoIP services, has developed a program specific to franchise operations with special pricing and other benefits included. Special Pricing – Currently, sipVine discounts our unlimited local and long distance user fee based upon the number of users a company deploys. 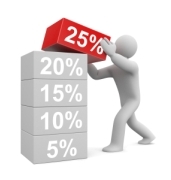 We have created a similar schedule to apply discounting for businesses in a common franchise arm. sipVine expects an active involvement of franchisors or individual franchisee customers to spread the word so the benefit can be driven to many participants and drive the cost down for all! Current franchises participating are seeing a benefit of a 30 to 47 percent off normal sipVine pricing! Centralized Features – sipVine can work with franchise operations to provide participating franchises the benefit of some centralized features. An example would be simplified procedures for emergency routing of calls or redirection of callers to a central customer servicing arm, such as a claims department for an insurance agency franchise. Another example would be some extension dialing capability to key contacts with franchise operations. 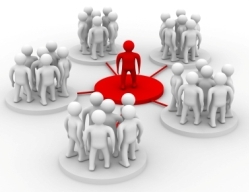 sipVine can customize the approach to work for the specific franchise operation. National Account Management – Franchise operations are provided with a national account manager and an implementation coordinator that will ensure the smooth roll out of locations. A customized web portal with unique resources for the franchise operation is provided, including a direct link to our service ticket system which routes your service to a team supporting franchise operations. Every franchise operation has unique attributes and communication processes. sipVine excels at the customization of its hosted service to match such needs, whether it be for a franchise operation, a company with multiple branch locations, or a stand-alone business. If you are in franchise operations or are a franchise owner, contact sipVine today at 855.SIPVINE to explore what we can do for you! One of the greatest advantages of digital phone service relates to businesses with an established nationwide presence or to businesses establishing a nationwide footprint. 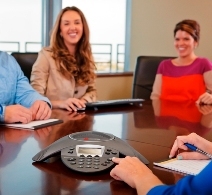 A business VoIP system and service can deliver several benefits to these businesses. Single Phone System – If your business has established branches or points of presence in different cities across the nation, you can create a common phone system platform by choosing a hosted VoIP provider who specializes in nationwide delivery. This will allow for employees at branches to extension dial each other, create a common or shared reception function, and streamline call flow. Consolidation of “departments”, such as a service function, can be accomplished with ring groups. Economies of Scale – Many business VoIP providers provide discounts based upon the volume of users/phones on the system. Additionally, most plans deliver unlimited local and long distance calling. This could significantly reduce your monthly phone costs and create other efficiencies between locations. 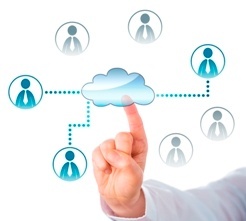 Virtual Teams – Hosted applications do not require a physical business location for implementation. You can create virtual teams of work at home associates, thus lessening your need for additional square footage at your business location to accommodate an expanding organization. Common applications are for sales or service groups to work from home. Call detail records and other system features can help you measure productivity in such environments. Creating a Footprint – For companies expanding into new locations, your business VoIP provider can establish a local phone number for those cities. You can do this before you have a physical presence in the area, giving you the opportunity to develop campaigns or other marketing tactics before fully investing in the area. If your business can benefit from such feature sets, call a hosted VoIP provider today. Make sure they can customize the system and applications to meet your needs, as this is a big differentiator in VoIP providers. Companies with multiple locations are perhaps the perfect example of how to maximize the benefits of a hosted phone system. These companies achieve cost efficiencies, centralize activities, lower investment costs, and enhance customer and employee communication by deploying cloud telephony. Cost Efficiencies – Whether the locations are across the town, state, region, or country, a hosted phone service consolidates the phone service providers into one. Typical hosted phone service providers deploy quantity discounts and provide all-distance calling plans. Long distance costs are eliminated and the overall monthly service costs are reduced. These direct cost efficiencies are beneficial, but the tangible advantages found in centralization of activities and improvement in communication flows is where significant savings can occur. Centralization of Activities – One of the greatest advantages of hosted digital platforms is the ability to customize the programming of call flow. “Companies with multiple locations” is a very generic category, but deploying this type of a system can get very specific to the needs of your company and customers. Whether you choose to centralize call flow with a primary reception model or an auto attendant, or maintain location specific incoming calls, you can still centralize various functions. 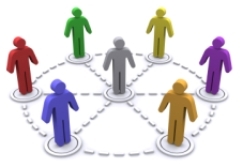 Common functions, such as sales, customer service, scheduling, technical support, or any other common function, can be set up in a ring group. These ring groups can be consolidated in one location or even spread across locations. To the caller, it is irrelevant as to the location where the call ultimately lands as long as their specific need is met. Such programming can create cost savings and improved efficiency. Enhanced Customer and Employee Communication – Through the programming mentioned above and the consolidation of the phone service under a single platform, customers enjoy a seamless communication experience. Their needs can be met by being directed (automated or manually) to a ring group, or via a simple transfer to the specific associate required. Automated attendants can be set up in various stages of the call flow, whatever suits your customer service desires and philosophies. Additionally, employees can extension dial or transfer to any employee in the company, regardless of their location. Finally, you can even set up employees virtually, as they can work from home and still appear to be on your communication system! Low Investment Costs – Under traditional phone system deployments, a separate PBX would be required at each location and remote virtual users would fall outside of such a model. With a hosted digital phone system, you only need to purchase the phones and some minor location specific equipment. The “system” is provided and administered by your hosted phone service provider. This provides for a very low cost of entry, and the savings achieved directly through lower monthly phone service costs and indirectly through centralization and improved call flow maximizes return on investment and decreases the payback period. If you are a company with multiple locations or wish to deploy a virtual workforce, investigate a hosted digital phone provider who can cover your geography and customize the deployment to meet your needs.